Note: this is a global release that pertains mostly to the European and UK markets. From the spring of 2014, the pleasure of driving can be experienced in a whole new dimension. BMW is extending its range of engines for the latest additions to the model portfolio and is presenting at the same time four further models equipped with BMW xDrive. The intelligent four-wheel drive system, for example, will be available for the first time in the BMW 4 Series Convertible. 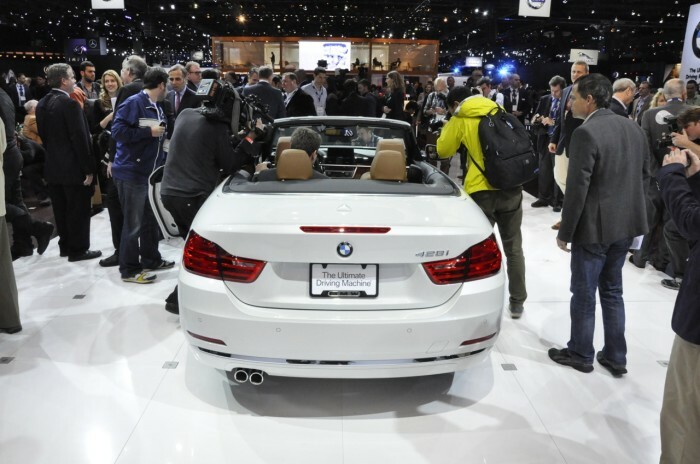 In addition, an extensive BMW Individual programme will be on offer for the BMW 4 Series from the spring of 2014. Further innovative options will be introduced to enhance both safety and comfort. From the spring of 2014, all BMW models except for the BMW X6 will feature as standard a tyre pressure indicator which monitors the pressure in each individual tyre. The latest generation of the optional Radio Professional and the navigation system Business excels through enhanced functionality facilitating, amongst other things, Audio Streaming and the use of numerous BMW ConnectedDrive services. During the course of 2014, both newly revised options will also be introduced to the BMW 1 Series, the BMW 2 Series and the BMW 5 Series and will then be available for all models except for the BMW X6. From the spring of 2014, the Driving Assistant will be incorporated in the new BMW X5. An M sports exhaust system will be a standard feature on the BMW 650i Coupe, the BMW 650i Convertible and the BMW 650i Gran Coupe. BMW 2 Series Coupe: Two additional diesel engines will be available right after market launch. 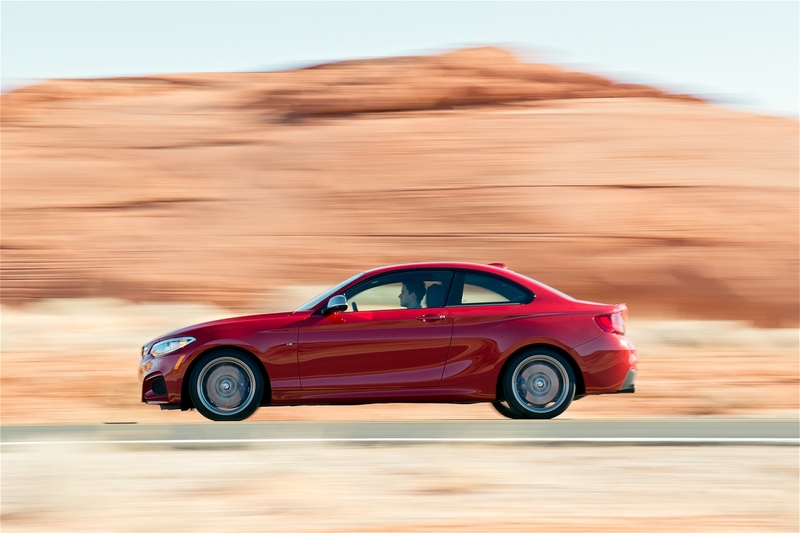 The BMW 2 Series Coupe will be setting a new benchmark in sporting performance in the compact segment from March 2014. Immediately after market launch the model portfolio will be extended by two diesel variants. In two additional output categories, the BMW 218d Coupe and the BMW 225d Coupe offer an optimal combination of efficiency and dynamic performance so typical of a BMW. The BMW 218d Coupe features as standard a six-speed manual gearbox. As an option, this model comes with an eight-speed Steptronic transmission. The engine in the BMW 225d Coupe is offered in conjunction with an eight-speed Steptronic transmission. Both models are powered by a 2-litre, four-cylinder diesel engine with BMW TwinPower Turbo technology. On the BMW 218d Coupe, this engine technology incorporates a turbocharger with variable intake geometry and Common Rail direct injection with solenoid valve injectors. A maximum output of 105 kW/143 hp and a maximum torque of 320 Nm help the car to accelerate from 0 to 100 km/h in 8.9 seconds (automatic transmission: 8.6 seconds). The average fuel consumption of the BMW 218d Coupe with a manual gearbox is 4.3 to 4.5 litres per 100 kilometres. In conjunction with an automatic transmission, the car consumes 4.2 to 4.4 litres of fuel per 100 kilometres. CO2 emissions are 114 to 119 grams/km (automatic: 111 to 117 grams per kilometre) (figures according to the EU test cycle, depending on selected tyre format). Multi-stage turbocharging and Common Rail direct injection with piezo injectors help the engine of the BMW 225d Coupe to achieve a maximum output of 160 kW/218 hp and a maximum torque of 450 Nm. This most powerful diesel version of the two-door vehicle sprints from 0 to 100 km/h in 6.3 seconds. This car combines athletic power performance with exemplary efficiency. 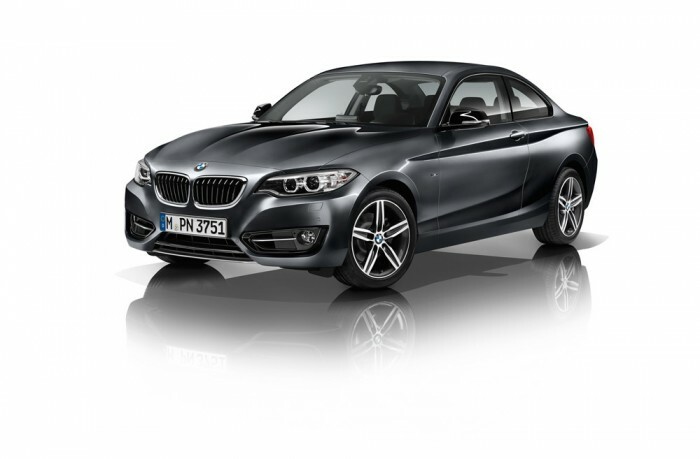 The BMW 225d Coupe has an average fuel consumption of 4.7 litres/100 km (CO2 emission level: 124 g/km). BMW 3 Series Gran Turismo: New six-cylinder diesel engine, BMW xDrive for two additional models. In the spring of 2014, the BMW 3 Series Gran Turismo will become even more attractive through additional model variants with a straight six-cylinder engine and an eight-speed Steptronic transmission featured as standard. An addition to the range of models is the BMW 330d Gran Turismo, whose 3-litre engine develops a maximum output of 190 kW/258 hp and a peak torque of 560 Nm. If desired, the new engine variant can be combined with xDrive. The BMW 330d Gran Turismo accelerates from a standstill to 100 km/h in 5.7 seconds (BMW 330d xDrive Gran Turismo: 5.4 seconds). Average fuel consumption is 5.1 to 5.2 litres (5.4 litres) per 100 kilometres. The CO2 emission rate is 135 to 136 or 142 to 143 grams per kilometre, respectively (values per EU test cycle, dependent on selected tyre format). The new BMW 335d xDrive Gran Turismo excels through uncompromising supremacy. This model is also equipped with four-wheel drive and features multi-stage turbocharging and Common Rail direct injection with piezo injectors, a technology which helps it to deliver 230 kW/313 hp and achieve a maximum torque of 600 Nm. 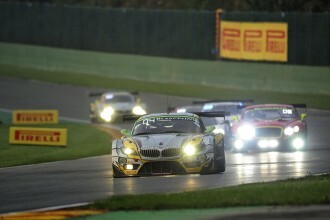 The sprint from 0 to 100 km/h takes a mere 4.9 seconds. Average fuel consumption is 5.6 to 5.7 litres per 100 kilometres. The CO2 emission level is 148 to 149 grams per kilometre (values per EU test cycle, dependent on the tyre format). Moreover, as of spring 2014, an innovation package will be available for all BMW 3 Series models consisting of attractive special equipment options. This package includes Xenon headlights, adaptive cornering lights, the BMW Head-Up Display, the High-Beam Assistant and Speed Limit Info including No Passing Indicator. Additional diesel engine variant and new four-wheel drive variant for the BMW 4 Series Coupe, BMW xDrive available for the first time for the 4 Series Convertible. In the spring of 2014, a fourth diesel engine will be added to the BMW 4 Series Coupe range of models comprising seven engine variants by that time. This new addition is a 4-cylinder diesel engine delivering 160 kW/218 hp and featuring TwinPower Turbo technology. 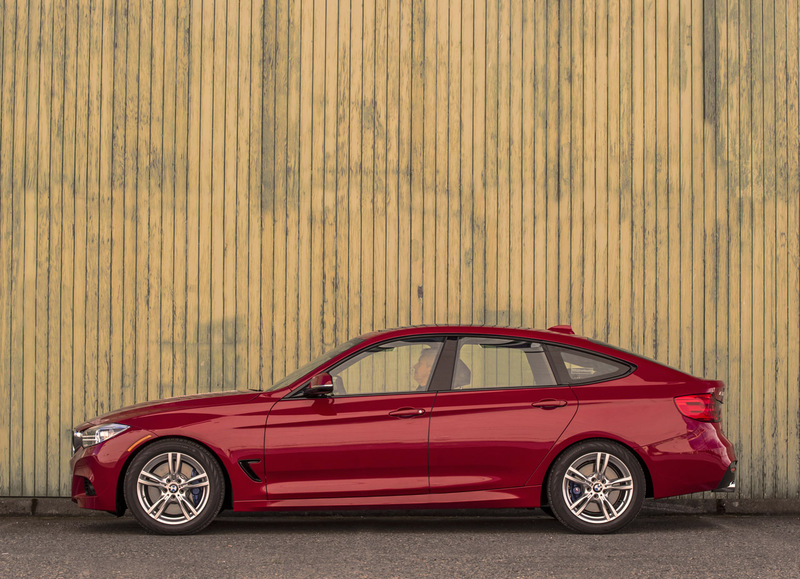 The new BMW 425d Coupe is equipped with a six-speed manual transmission as standard. Optionally, power transmission is effected via an eight-speed Steptronic transmission. A sprint from standstill to 100 km/h is completed in 6.7 seconds (automatic: 6.5 seconds). The vehicle’s average fuel consumption is 5.0 to 5.1 litres/100 km (automatic: 4.7 to 4.9 litres.). CO2 emissions are rated at 131 to 135 grams per kilometre (124 to 128 g/km; values per EU test cycle, dependent on the selected tyre format). With the introduction of the BMW 430d xDrive Coupe, the number of model variants featuring four-wheel drive will increase to six. The new model, which is equipped with a straight six-cylinder diesel engine delivering a maximum output of 190 kW/258 hp in combination with an eight-speed Steptronic transmission as a standard option, accelerates from 0 to 100 km/h in 5.2 seconds. Spirited performance combines with an average fuel consumption of 5.2 to 5.4 litres per 100 kilometres and a CO2 emission rate of 137 to 141 grams per kilometre (values per EU test cycle, dependent on the selected tyre format). Also in the BMW 4 Series Convertible, the intelligent four-wheel drive will in future demonstrate its advantages in terms of traction, safety and driving dynamics. It premieres in the 4 Series with the introduction of the BMW 428i xDrive Convertible, which is powered by a 2-litre, four-cylinder petrol engine with BMW TwinPower Turbo technology and a maximum output of 180 kW/245 hp. Engine power is transferred to all four wheels via a standard eight-speed Steptronic transmission and BMW xDrive. Acceleration from 0 to 100 km/h is achieved in 6.5 seconds. Average fuel consumption of the BMW 428i xDrive Convertible is 7.0 to 7.2 litres per 100 kilometres, the CO2 rating is 163 to 167 grams per kilometre (values per EU test cycle, dependent on selected tyre format). 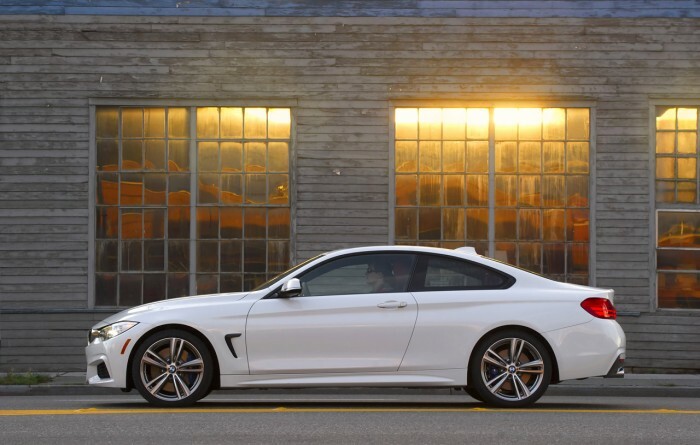 Exclusive driving pleasure for the BMW 4 Series: BMW Individual. From the spring of 2014, the available range of BMW Individual features will offer ideal opportunities to combine sporting elegance and the pleasure of driving for the BMW 4 Series. Exquisite materials, premium finish and a particularly sophisticated design characterise the exterior and interior options installed at the factory. The model-specific programme comprises an attractive selection of BMW Individual exterior paints and BMW Individual light-alloy wheels with mixed tyre sizes. In addition, an extended BMW Individual leather trim, a Merino leather steering wheel as well as an instrument panel finished in leather can be had, which will also be incorporated into the BMW 3 Series Sedan and the BMW 3 Series Touring starting in spring. Available in future as a standard feature: Tyre pressure indicator for each individual tyre. Starting in spring, drivers of a BMW will be warned of a loss of tyre pressure more precisely than ever before. A tyre pressure indicator will be offered as a standard equipment feature on all new vehicles of the brand with the exception of the BMW X6. Sensors on all four tyres facilitate an exact and individual monitoring of the pressure in each individual tyre. The tyre pressure currently at hand will be shown in the Control Display or the instrument cluster, respectively, depending on the model and the equipment options customers have chosen. In the event of a loss of tyre pressure, the driver will be made aware of a possible danger well in advance. High-speed graphics, additional functions: The new generation of the navigation system Business and the radio Professional. With enhanced functions and optimised performance, the latest generation of the radio Professional and the navigation system Business is raising comfort and driving pleasure to an even higher level. Both newly revised options will be introduced in the spring of 2014. During the course of 2014, they will also be introduced to the BMW 1 Series, the BMW 2 Series and the BMW 5 Series and will then be available for all models except for the BMW X6. Both systems have a new control unit with boosted computing performance. Thus, for example, Bluetooth audio streaming will be available in the vehicle with the integration of mobile devices as well as additional BMW ConnectedDrive services. The most significant innovation to the navigation system Business are the graphic images which now generate 10 times faster than before on the 16.5-inch control display. High-resolution maps, which now have 3D elements and animations, and an increased speed when calculating routes characterise the advancement made possible by the optimisation of the control unit technology. In conjunction with the ConnectedDrive Services option, the navigation system Business can be used in future for the Concierge Services, Real Time Traffic Information and Remote Services. In order to establish the necessary online connections in an optimum manner, the new system uses the 3G standard for mobile telephone networks. Extended range of series equipment for the new BMW X5 and the top-of-the-range version of the BMW 6 Series. The multitude of driver assistance systems from BMW ConnectedDrive, which come as standard or are fitted as an option, is one of the characteristic features that make the new BMW X5 clearly stand out from the competition. From the spring of 2014, this added advantage will be emphasised even more intensively by complementing the standard equipment of the Sports Activity Vehicle by the Driving Assistant system. Driving Assistant comprises camera-based Lane Departure Warning and Collision Warning (including pedestrian warning) with brake application function. Lane Departure Warning makes the steering wheel vibrate in order to warn the driver when he or she veers out of lane unintentionally. Collision Warning detects vehicles driving ahead and pedestrians. The system issues a visual and acoustic warning if there is an imminent risk of collision. It also initiates a braking process, if required. On the eight-cylinder models of the BMW 6 Series, an extension of the range of series equipment in the spring of 2014 further accentuates their highly athletic character. In future, the BMW 650i Coupe, the BMW 650i Convertible and the BMW 650i Gran Coupe will all be equipped with an M Sport exhaust system installed at the factory. The motor-racing inspired system developed by BMW M GmbH reduces the exhaust back pressure and emphasises the characteristic acoustics of the V8 power unit during acceleration and deceleration. As of spring 2014, the optional Harman Kardon surround system will be available on all BMW 6 Series models. The system guarantees music enjoyment at the highest level while en route. In conjunction with the optional navigation system Professional, the iDrive operating system will in future comprise a touch controller for the entry of characters.